Dr. Angeline Sia-Venugopal is a licensed medical doctor. 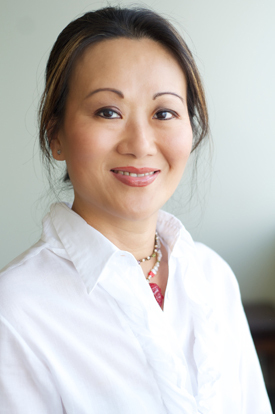 She completed her training in Edmonton and opened the Laser Rejuvenation Centre in 2006, lending her medical expertise to cosmetically assisting people to look and feel their best. As a doctor, she is able to make referrals to specialists in other areas to give you the best possible treatment. This unique service is just part of the first-class service she offers. After all, it’s not “just” about a treatment, it’s about building a relationship based on honesty and integrity. Her husband, dentist Dr. Sunil Venugopal, has a neighbouring practice. His work often complements Dr. Sia-Venugopal to deliver a bigger picture of health and well-being. She’s affiliated with a family medical care practice in Chilliwack and continues ongoing training in her field. She and her family have been members of the local Chilliwack community for the past 12 years.